“Nagorno: Karabakh: The World’s Forgotten Genocide?” The Washinghton Times International Special Report, 2001. Allen C. Lynch, “The Evolution of Russian Foreign Policy in the 1990s,” The Journal of Communixt Studies and Transition Politics, 18(1), 2002. Andrei, Shoumikhin, “Russia: Developing Cooperation on the Caspian,” in Michael P. Croissant and Bulent Aras (ed. ), Oil and Geopolitics in the Caspian Sea Region (Westport and London: Praeger, 1999). Araz Aslanlı, “Tarihten Günümüze Karabağ Sorunu,” Avrasya Dosyası, İlkbahar, 2000. Audrey L. Altstadt, “Azerbaijan and Aliyev: A Long History and An Uncertain Future,” Problems of Post-Communist, 50(5), 2003. David D. Laitin and Ronald G. Sunny, “Armenia and Azerbaijan: Thinking a Way Out of Karabakh,” Middle East Policy, October 1999, 7(1). David E. Mark, “Eurasia Letter: Russia and the New Transcaucasus,” Foreign Policy, 105, Winter 1996-1997. David Rieff, “Nagorno-Karabakh: Case Study in Ethnic Strife,” Foreign Affairs, March-April 1997, 76(2). Ella Akerman and Graeme P. Herd, “Russian Foreign Policy: The CIS and the Baltic States,” in Cameron Ros (ed. ), Russian Politics under Putin (Mancehster and NY: Manchester University Press, 2004). Fiona Hill and Pamela Jewett, Back in the USSR: Russia's Intervention in the Internal Affairs of the Former Soviet Republics and the Implications for United States Policy toward Russia (Cambridge, Massachusetts: Harvard University Press, 1994). Houman Sadri, “Elements of Azerbaijan Foreign Policy,” Journal of Third World Studies, 20(1), 2003. Jennifer DeLay, “The Caspian Oil Pipeline Tangle: A Stell Web of Confusion,” in Michael P. Croissant and Bulent Aras (ed. ), Oil and Geopolitics in the Caspian Sea Region (Westport and London: Praeger, 1999). Khatuna Giorgadze, “Russia: Regional Partner of Agresser?” The Review of International Affairs, 2(1), Autumn 2002. Leila Aliyeva, “The Institutions, Orientations, and Conduct of Foreign Policy in Post-Soviet Azerbaijan,” in Adeed Dawisha and Karen Dawisha (ed. ), The Making of Foreign Policy in Russia and New States of Eurasia (London and NY: M.E. Shape, 1995). Leon Aron, “The Foreign Policy Doctrine of Post-Communist Russia and Its Domestic Concept,” in Michael Mandelbaum (ed. ), The New Russian Foreign Policy (NY: Council on Foreign Relations Press, 1998). Martha B. Olcott, “Sovereignty in ‘Near Abroad’,” Orbis, 39(3), Summer 1995. Nasib Nassibli, “Azerbaijan: Oil and Politics in the Country’s Future,” in Michael P. Croissant and Bulent Aras (ed. ), Oil and Geopolitics in the Caspian Sea Region (Westport and London: Praeger, 1999). Nazrin Mehdiyeva, “Azerbaijan and Its Foreign Policy Dilemma,” Asian Affairs, 34(3), November 2003. Nicole J. Jackson, Russian Foreign Policy and the CIS: Theories, Debates and Actions (London and NY: Rotledge, 2003). Nodari A. Simona, “Priorities of Russian Foreign Policy and the Way It Works,” in Adeed Dawisha and Karen Dawisha (ed. ), The Making of Foreign Policy in Russia and New States of Eurasia (London and NY: M.E. Shape, 1995). Ottar Skagen, “Survey of Caspian’s Oil and Gas Resources,” in Hooshang Amirahmadi (ed. ), The Caspian at a Crossroad (NY: ST. Martin’s Press, 2000). Paul Kubicek, “Russian Energy Policy in the Caspian Basin,” World Affairs, 166(4), Spring 2004. Paul Marantz, “Russian Foreign Policy During Yeltsin’s Second Term,” Communist and Post Communist Studies, 30(4). Paula J. Dobriansky, “Russian Foreign Policy: Promise or Peril?” The Washington Quarterly, 23(1), 1999. S. Rob SObhani, “The United States, Iran, Russia, and Turkey: The Struggle for Azerbaijan,” Democratizasya, Winter 1998. Seymour W. Itzkoff, “Russia as a Superpower,” The Journal of Social, Political and Economic. Studies, 29(2), Summer 2004. Stephen Blank, “Russia’s Real Drive to the South,” Orbis, 39(3), Summer 1995. Taras Kuzio, “Promoting Geopolitical Pluralism in CIS: GUUAM and Western Foreign Policy,” Problems of Post-Communism, 47(4), 2000. Thomas de Waal, “Reinventing the Caucasus,” World Policy Journal, 19(1), Spring 2002, p. 55. Wynne Russell, “Russian Relations with the ‘Near Abroad’,” in Peter Sheorman (ed. ), Russian Foreign Policy since 1990 (Westview, 1995). ISNAD Gül, Murat . "Russia and Azerbaijan: Relations after 1989". 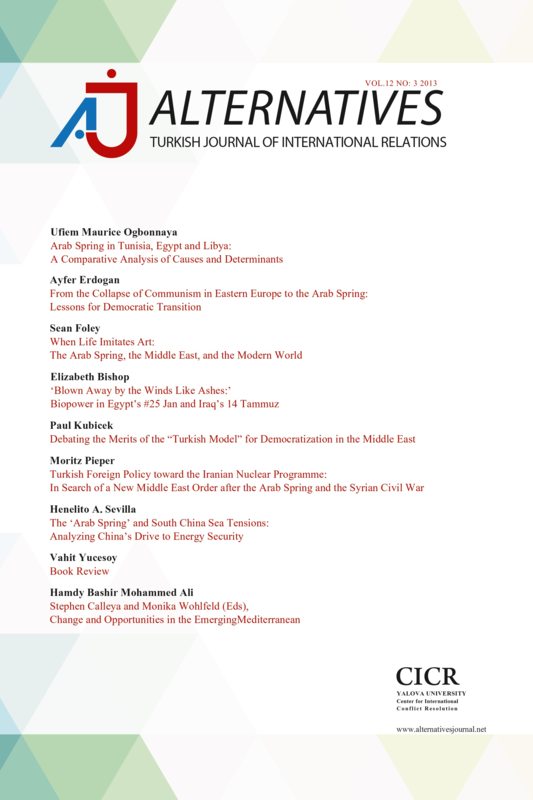 Alternatives: Turkish Journal of International Relations 7 / 2&3 (September 2008): 47-66.